Report: Xiaomi is the most preferred smartphone brand in India - AndroGuider | One Stop For The Techy You! 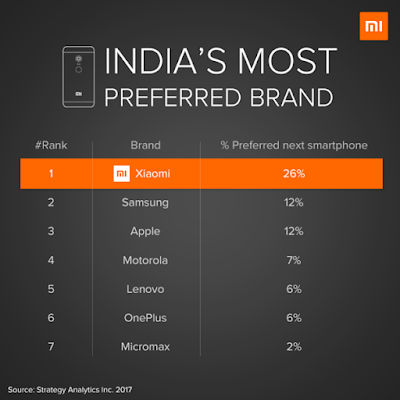 Xiaomi has overtaken long-time leaders Samsung and Apple to become the most preferred smartphone upgrade choice for Indian consumers in 2017. 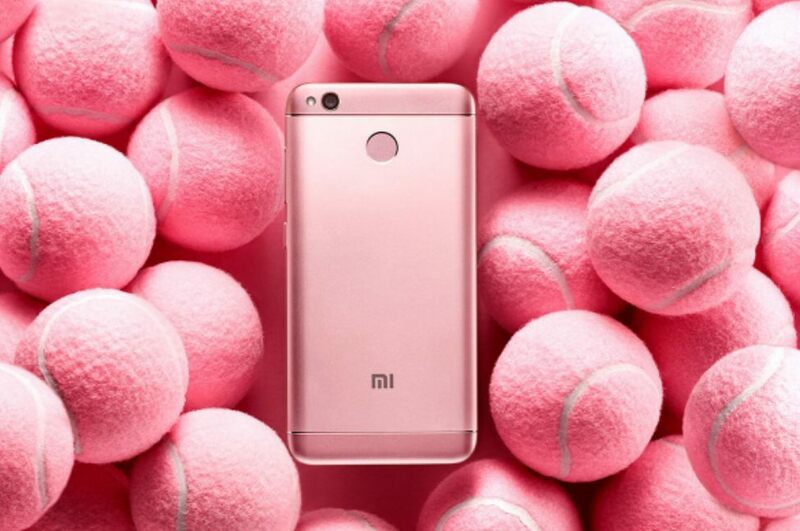 According to Strategic Analytics, 26 percent of potential smartphone buyers looking to upgrade their handsets in 2017, prefer Xiaomi brand. Samsung and Apple is the second most preferred band with 12 percent, followed by Motorola (6 percent), Lenovo and OnePlus (6 percent). Homegrown Micromax was the least preferred smartphone brand with over 2 percent share. Lately Xiaomi has been doing very well in the country. All the recently launched phones including Redmi 3, Redmi 4, Redmi Note 3, Redmi Note 4 and their variants have been selling like hot cakes. The company has even become the top online smartphone brand in the country. Unfortunately, the same is not the case in Xiaomi's home market China, where brands like Huawei, ZTE, nubia, Honor, vivo and more are giving tough competition. The report also says that while choosing a phone consumers preferred online availability, network speed and chipset performance over mainstream features such as screen size, screen resolution and camera. More over majority of Indian customers, prefer buying smartphone in the range between Rs. 10,000 and Rs. 20,000, and only six percent want to buy premium handsets costing above Rs. 30,000. The survey is based on feedback collected by over 2,000 smartphone users. Although Xiaomi is the most preferred brand, Samsung still dominates the Android smartphone market with 18 percent share. The coming months will be very interesting as Nokia will be re-entering the smartphone market with the budget Nokia 3, Nokia 5 and Nokia 6 smartphones. It is to see if Nokia will be stealing the limelight from other brands, and be right back to its glory days.